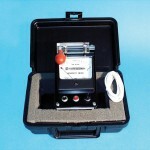 Resistivity - OFI Testing Equipment, Inc. 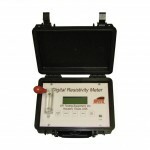 The OFITE Resistivity Meters are portable measuring instruments designed to give quick, reliable measurements of the resistivity from a small sample, expressed in Ohm-Meters. These transistorized meters accurately measure the resistivity of fluids, slurries, and semi-solids.